Once you’ve had some of our mixed hardwood firewood delivered to you in Havre De Grace, what can you do next? The next time you want to have a bonfire, you’re going to need to have some firewood. Once you’ve had some of our mixed hardwood firewood delivered to you in Havre De Grace, what can you do next? 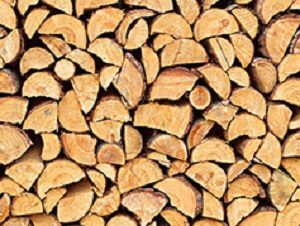 If you’ve never thought about seasoning your firewood, then here is some advice on how to do it. You can always prepare by seasoning some leftover wood from last year. Either way, you’ll need to give it some time to finish seasoning. Stacking your firewood is one way to help season your firewood so that it burns longer, hotter, and gives off a more appealing smell as well. By stacking your firewood, you can accelerate the drying process and make it easier to light the next time you have a gathering at your Havre De Grace home this summer. Stacking will also keep your wood from being ruined by mold. So, you might be wondering, how do you do a hammock stack? The hammock stacking method is the one that you’ll see most often. You might even see your Havre De Grace neighbors trying it with their own firewood. If you have two trees conveniently close together in your yard, they might make the ideal spot to try this technique. After all, the hammock stack owes its name to the gap between trees or posts that you can use to hang a hammock in your yard. The woodhouse stack is also known by its German name, holz hausen or holz haufen. It makes it easier to stack large collections of firewood in a relatively small area. Create a circular base layer. Then use a string to tie a stake to the ground where you want to pile your wood. Continue to create a ring of firewood with any oddly-shaped pieces to fill in the ring and form a support beam. You should even have enough firewood to make a “roof” on top of your “house”; the roof comes from a smaller pile of firewood that you angle downwards. Make sure you leave these pieces with their bark side facing up, so they can absorb any rain that falls on your firewood during the next storm that reaches your Havre De Grace neighborhood. This entry was posted on Friday, June 1st, 2018 at 9:48 am. Both comments and pings are currently closed.